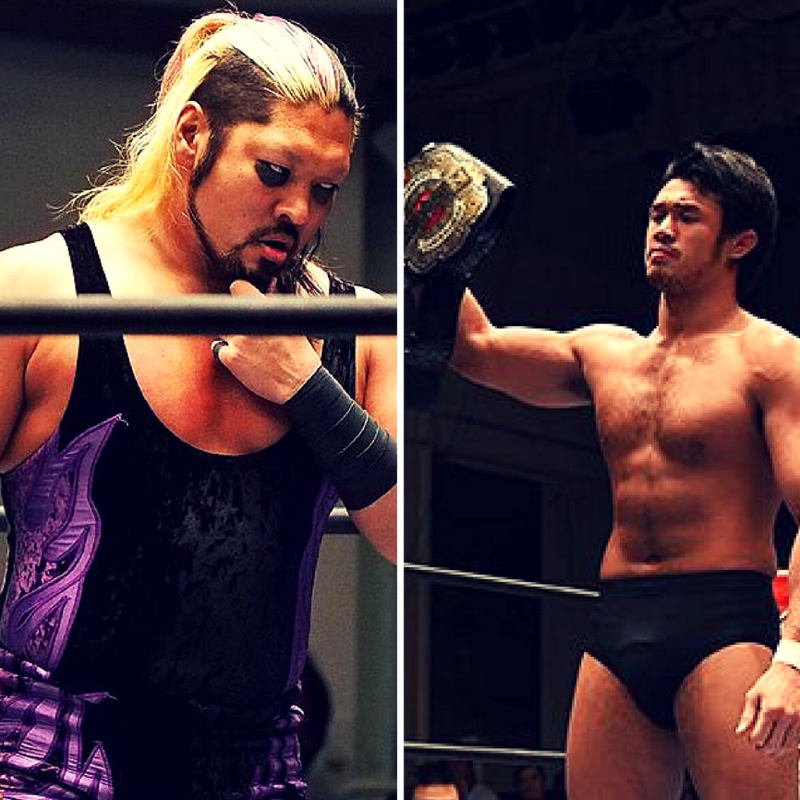 Power Struggle this year is all about one group, the wonderful Los Ingobernables De Japon; of the 5 matches announced so far for the 5th November event, 4 of them involve members of the stable in headline matches. The group, led by Tetsuya Naito, have been a true standout in New Japan this year, successfully filling the void of AJ Styles, Shinsuke Nakamura, Luke Gallows and Karl Anderson and participating in main event level clashes throughout the year. Clearly they deserve to have this PPV based around them and I’m very excited to see their path of destruction continue in Osaka. Throughout the year they have been a menace to all those before them, including: CHAOS, Hiroshi Tanahashi, Michael Elgin, commentators, ring announcers and beyond as Tetsuya Naito sneaked his way to win the New Japan cup and IWGP Heavyweight belt earlier in the year. People were worried after he dropped the title back to Kazuchika Okada that the clan’s momentum would be stunted and they would perhaps struggle to recover but in actual fact the opposite has occurred, as Naito, EVIL, BUSHI and SANADA have all going from strength to strength. 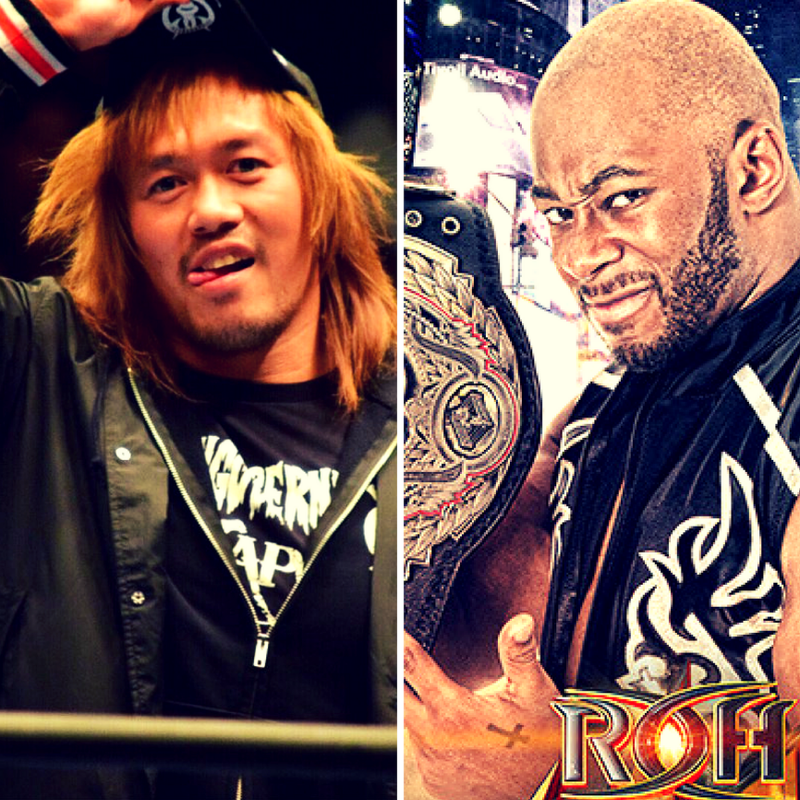 The 3 heavyweights all had solid showings in the G1 Climax with Naito just missing out of a place in the finals after a match of the year contender versus Kenny Omega and now he holds the IWGP Intercontinental championship having knocked off Elgin last month in another classic bout whilst BUSHI managed to claim his Junior Heavyweight strap over the same set of Destruction shows. But how will their matches go at Power Struggle? Will they be able to topple their foes or could the faction have bitten off more than they can chew recently? I’m predicting a 50/50 split of wins and losses for the foursome, and here’s a rundown of their quartet of announced matches. As mentioned previous, BUSHI managed to capture the IWGP Junior Heavyweight Championship last month at the Destruction in Tokyo event. The masked apprentice won the belt in a match littered with dirty tactics as we saw interference from the other LIJ members, T-shirt choking and even the dreaded black mist to blind his foe. The man he screwed over that night was his challenger, KUSHIDA. BUSHI criticised the automatic rematch clause and was reluctant to give the number one contender his deserved shot, but following their 8-man tag at King of Pro Wrestling last week, BUSHI and company laid out KUSHIDA, forcing him to leave on a stretcher and ruling him out of the Power Struggle house shows with a neck injury. Given the damage Ingobernables have inflicted on the former champion in recent weeks, BUSHI is the clear favourite to keep hold of his new belt as he is the fresher of the two and with the other members of L.I.J having their own fights to focus on I would predict far fewer shenanigans around the contest, which I’m all for based on their match in February at the New Beginning PPV. Expect a whole heap of high-flying from the pair as they both are high-risk, high-reward style fighters, and with the belt on the line again they are sure to give everything they have for the most prestigious junior championship in the game. BUSHI should have enough to defeat an injured KUSHIDA with his MX finisher again but it should be 15 minutes of pure action and is not one to be missed. 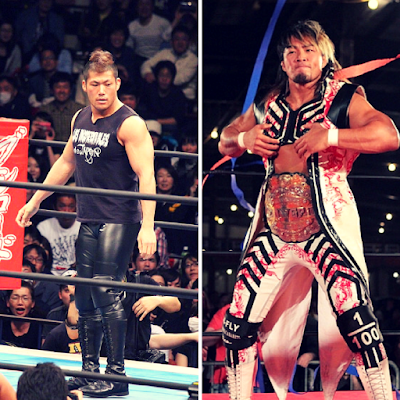 You may know SANADA, the newest member of Los Ingobernables, from his orange-haired days in TNA but now the man is almost unrecognisable from those days as he looks to topple one of the greatest pro-wrestlers Japan has ever seen, Tanahashi. Tana hasn’t had the best of years so far, he lost the Wrestle Kingdom main event, his Intercontinental Championship match against Omega, got injured and didn’t reach the finals of the G1 Climax. He really needs a victory in order to end his 2016 on a high heading into the January 4th Tokyo Dome show where he is sure to have a huge match once again. With the January Tokyo Dome show looming Tanahashi will surely be in the co-main event at the very least, and as his rivalry with L.I.J just bubbling under at the moment I would predict it to boil over after this PPV with him almost certainly colliding with Naito for the IWGP Intercontinental Champion at Wrestle Kingdom 11. The match has been in the pipeline for some time and seeing the pair explode on the grandest stage in Japan would be a delight, keep your eyes out for this feud unfolding. EVIL gunning for Shibata’s NEVER Openweight Championship is something I have personally wanted to see for the majority of the year, and since the champion has beaten a whole flock of worthy contenders the King of Darkness seems an appropriate choice to attempt to knock of one of the hardest men in pro-wrestling today. The big enforcer got his shot at the belt after blindsiding Shibata at Kings of Pro Wrestling when the latter was distracted by Go Shiozaki, who will instead get a non-title match with Katsuyori at NOAH’s show on October 23rd. With NOAH versus Shibata set to run throughout the winter his match with EVIL feels more like a side-quest rather than a main story adventure for the current belt holder, but that adds to the intrigue over who will leave with the strap. This match is going to be rougher than me on a Sunday morning after a night on the booze. As per the majority of Shibata’s matches, he and EVIL are going to kick the stuffing out of one another until one of the pair has nothing left to give. Clotheslines, giant kicks and suplexes will be the flavour of the bout with only the stronger surviving when the dust settles. Either man may finish the strongest in this case. Shibata could easily carry the belt through to Wrestle Kingdom to face either Go Shiozaki or Minoru Suzuki, but the story would still work without it, and EVIL could gain some real pedigree by having the championship round his waist, but in the same breath, he could kill it in the world tag league alongside Naito or SANADA. Personally, I’m going for a Shibata win as the belt has become synonymous with him this year and a big match for the title at WK11 would be the icing on the cake of his reign. What more can be said about the 2016 of Tetsuya Naito? He has pushed the boundaries to become the most entertaining character and is right up there with Styles and Omega as my pick for wrestler of the year. He is more over than ever before and now the Intercontinental champion in New Japan after capturing the title from Elgin last month in a breathtaking match – and in this main event for Power Struggle I would expect another wonderful face-off. Elgin was due for his rematch here but since he suffered an injury to the eye socket at KOPW the former ROH champion, Jay Lethal has stepped up. Lethal had aligned with L.I.J back in February but after turning face in August he no longer associated with the faction and scored a victory over Naito at ROH’s All Star Extravaganza, making him the perfect replacement as he is owed a title match. Their previous match was very slick and smooth as to be expected and I would love to see them turn in up an extra notch here in Osaka; I’m dying to see a Lethal Injection reversed into a Destino or vice-versa. Lethal will surely put on a great show and give a tremendous fight to Naito but I can only see this top-card bout going one way, and that’s to the champion. Lethal, having beat his former partner previously, will lose little in defeat, and should he show the heart and desire we have come to expect from him, the New Japan crowd will surely get behind him through the contest and in the future. But Naito is perfectly placed to star in the co-main at the Tokyo Dome and a loss here would make zero sense to the man who has more momentum than a bullet train right now. Naito v Tanahashi is a dream match and if it doesn’t occur it’ll be criminal, I just pray we get given what we so crave. So there you have it, Los Ingobernables De Japon are on a roll and deservedly will be featured all across the Power Struggle card. Naito and BUSHI should retain their prestigious belts and so long as SANADA and EVIL perform well in their matches they will be able to threaten in the upcoming World Tag League too. If you have not checked out Japan’s hottest faction yet I would fully recommend it as you are missing out on some incredible matches, antics and stories. Here’s to them and here’s to Power Struggle 2016, it should be a cracker!